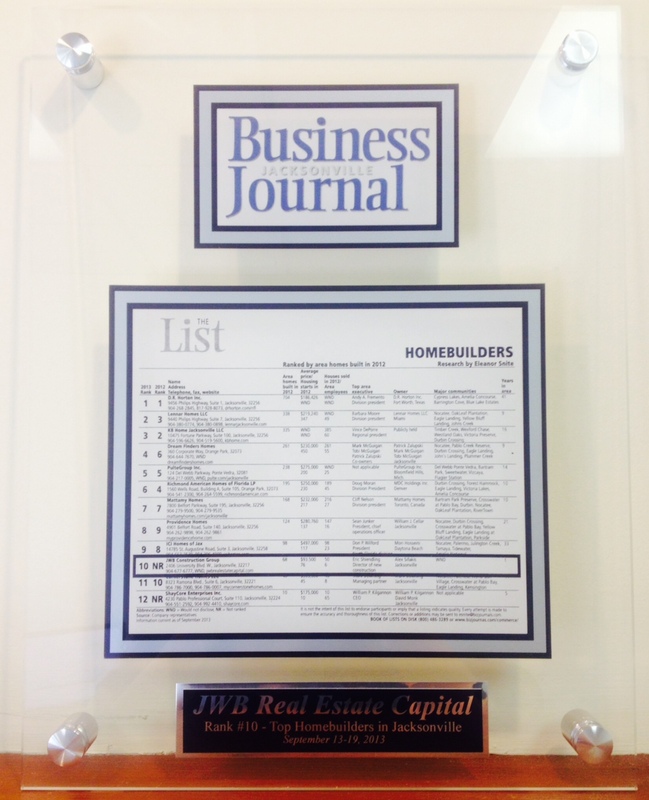 JWB Construction Group was featured in the September 2013 Jacksonville Business Journal's Homebuilders list. 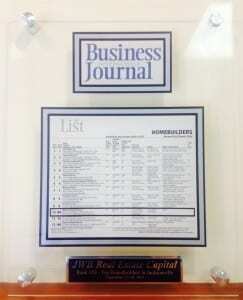 Ranking #10 under powerhouses such as D.R. 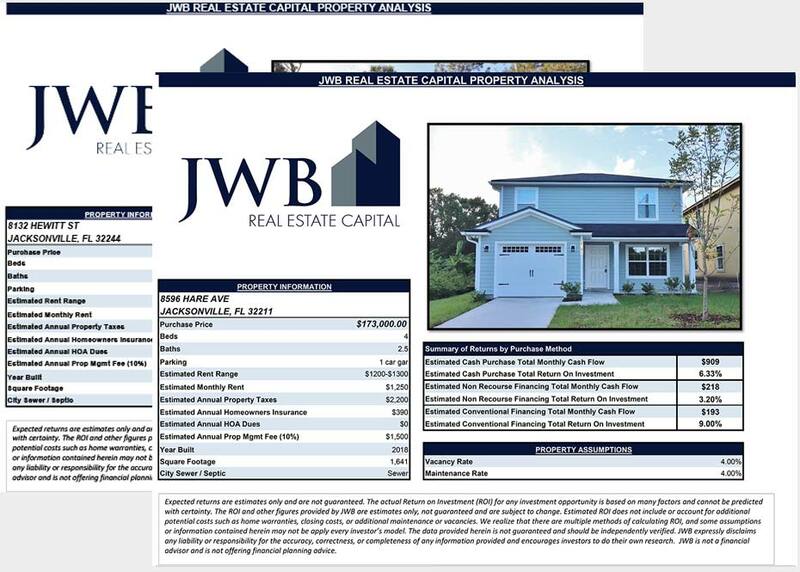 Hortan inc. and KB Homes, LLC, JWB was recoginzed as one of the only companies building new construction homes for the use of investment rental properties. Our company sold 50 of the 68 investment homes built in 2012 with the average home sale of $93,500. 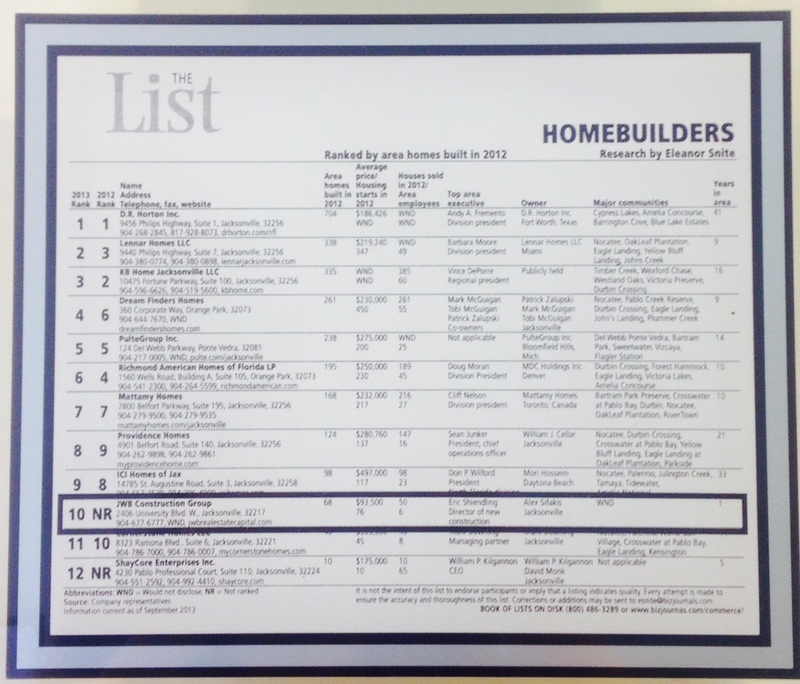 Each home built is overseen by Eric Shiendling, Project Manager of New Construction Division.